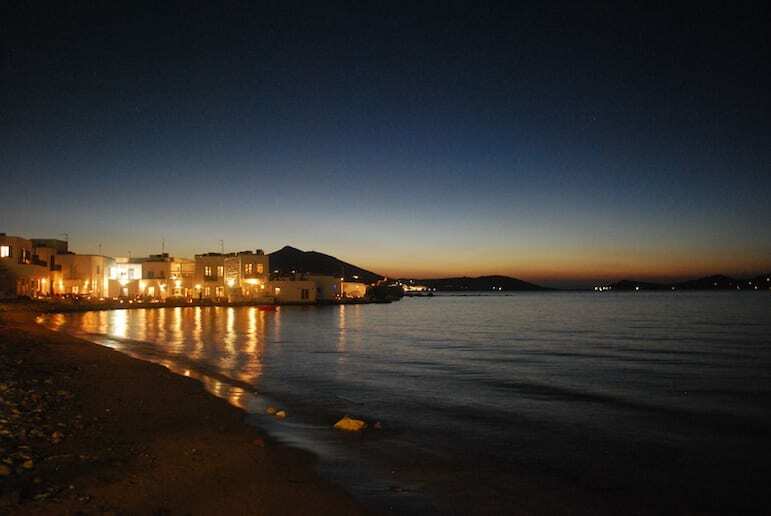 From quaint seafront tavernas serving fish, fresh from the sea stretched out before you, to beach parties and live music events, you can holiday any way you want to on Paros Island. And it has everything an idyllic beach retreat should have. Famous for traditional architecture, sun-kissed beaches and a vibrant nightlife, there is something within its pretty shores for romantic couples, culture vultures and families looking for fun in the sun. Renowned for its warm and welcoming locals, beautiful walking routes and landscape, it has long been favoured as home for artists, many of whom choose to live, work and exhibit on the island today. Like the artists who set foot on Paros before you, discover the range of reasons that will make you want to call the Greek island home – not just a holiday destination. 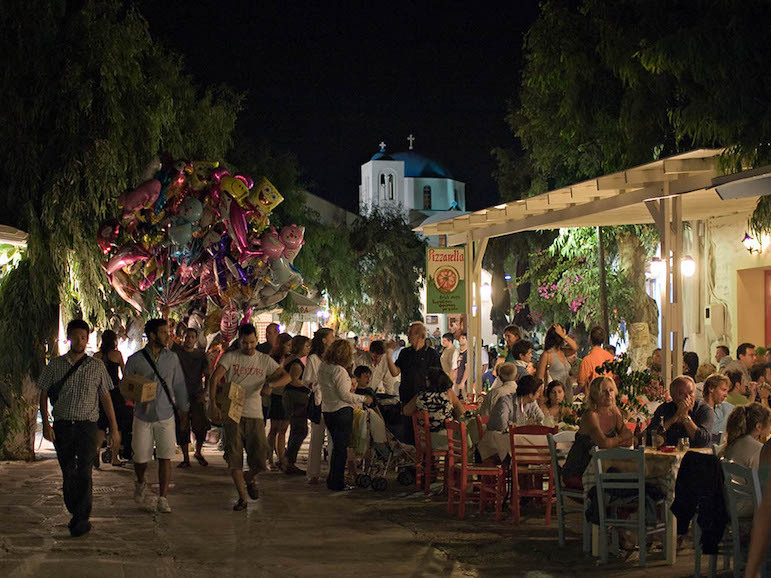 Traditional tavernas may line the seafront, but away from the shores you will find an irresistible mix of upmarket shopping and bargain souvlaki restaurants. Parikia and Naoussa are the village hubs of island activities. Many of the squares come alive to the sounds of very stylish music of all genres and, as the squares begin to empty around midnight, there are a number of nightclubs all within walking distance for those who want to party on until dawn. The nightclubs play mainstream music, with a taste of Greek traditional thrown in as if as a reminder of where you are. Dimitris Manikis spends around 250 days each year travelling all over the world as part of his role as Vice President of Business Development for RCI Europe, Middle East, and Africa. 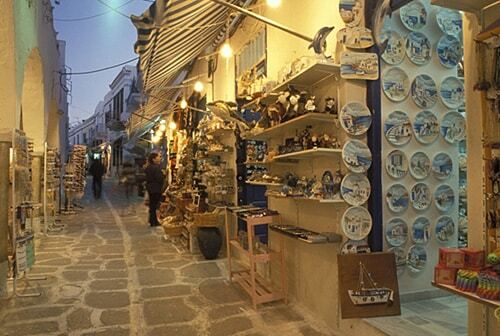 Dimitris is, himself, a timeshare owner and RCI member, who loves his home resort of Anezina Village on Paros Island. “Timeshare came into my life, from a family perspective, around ten years ago. 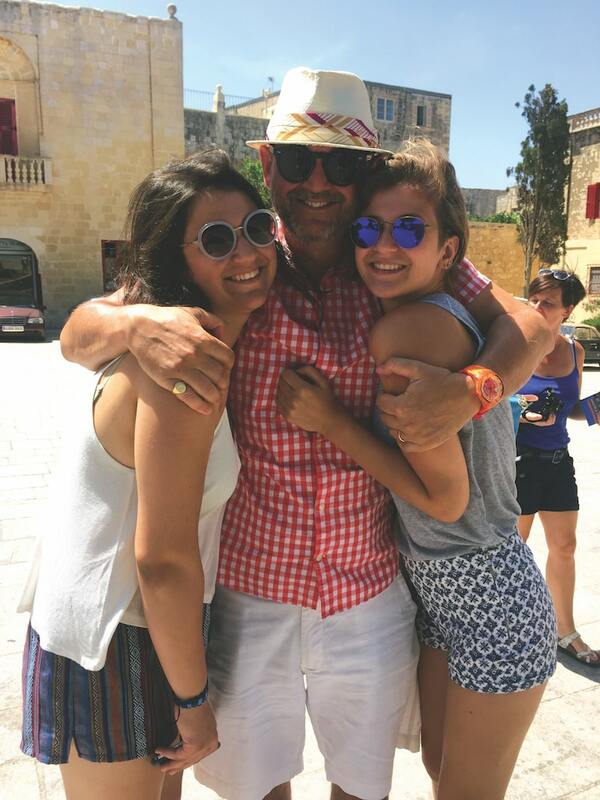 With two young daughters, Anastasia and Aggeliki, who are now aged 19 and 17 respectively, my wife, Ria, and I realised that our holiday needs had changed and that we wanted more space and privacy. Holidays were also becoming expensive, due to having to having to travel in the school holidays, and needing two rooms or a large room to accommodate all of us. “Working for RCI meant I knew a lot about the concept and benefits of timeshare, such as space, privacy, and the flexibility to swap my purchased holiday weeks at my home resort for different weeks in different destinations through the RCI holiday exchange programme. Dimitris explains why it had to be Paros for his family: “We had holidayed on Paros before and the whole family loved it. So, when it came to choosing where to purchase our timeshare, it wasn’t a difficult decision to make. 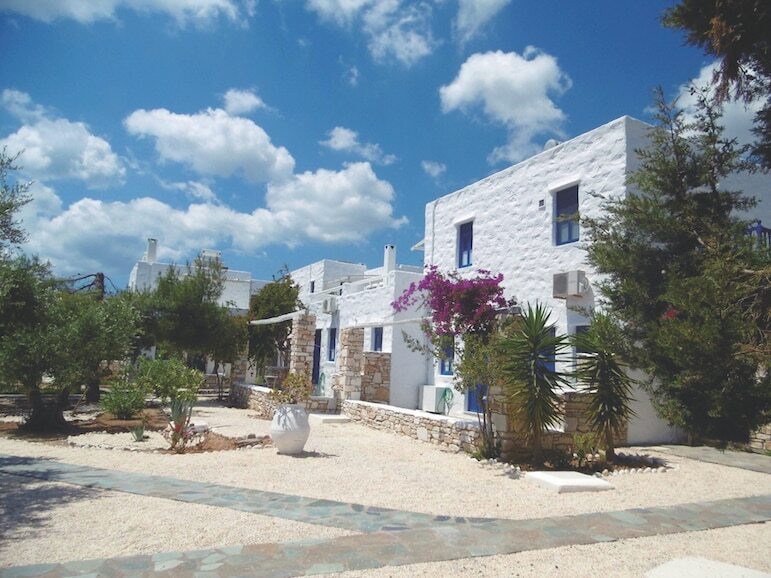 We purchased two weeks at Anezina Village, on Paros. 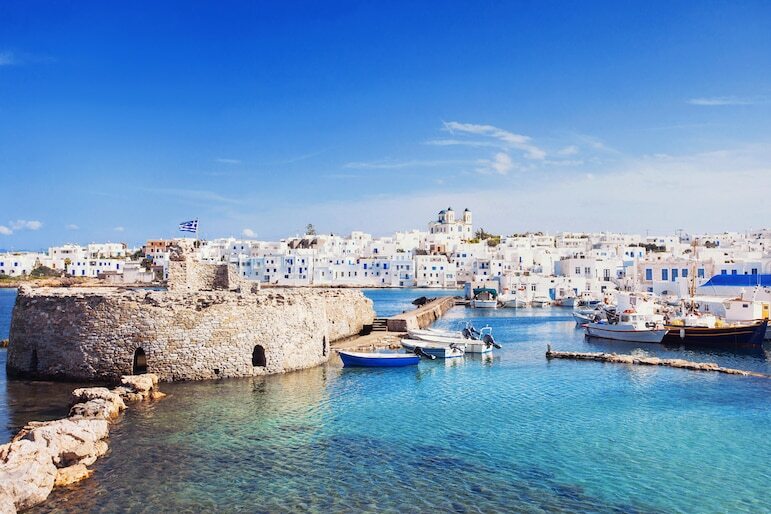 “Situated between romantic, picturesque Santorini, and stylish Mykonos with its party-hard reputation, Paros is a wonderful combination of the two, and the resort is only 200 yards from the beach. The island has plenty of nightlife, as well as excellent beaches, and food. It’s the kind of destination where young groups, families and couples alike can all have amazing holidays together. 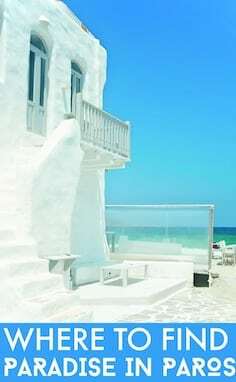 Like the sound of Paros? Click here to enter our exclusive competition with RCI to win a one-week stay in Paros. 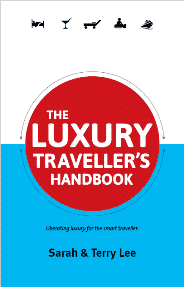 Lover of all things travel, Lorraine can often be found whiling away hours on Pinterest (so easily done! ), looking for new places to visit or new spaces she can make over at home. Throw in a good book, delicious food and wine, combined with great company, and she is a happy soul indeed!